Pinewood Studios has been confirmed for another Star Wars shoot. Star Wars VIII will be shot at the studios. The announcement was made by Pinewood CEO Ivan Dunleavy at the annual conference of the Confederation of British Industry. 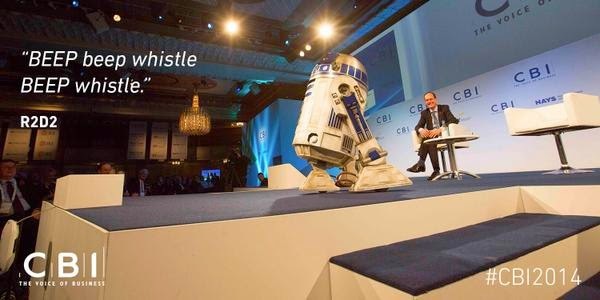 R2-D2 even made an appearance at the announcement. Star Wars, The Force Awakens recently wrapped up principal photography which was also shot at Pinewood Studios and around the UK including the Forest of Dean.